Dhaka, Sep 5 (Just News): France star Antoine Griezmann insists he deserves to be on the podium for this year's Ballon d'Or after winning the World Cup and major silverware with Atletico Madrid. Griezmann came third in 2016 in the voting behind Cristiano Ronaldo and Lionel Messi for the most prestigious individual award in football, despite not winning anything. That year was agonising for the forward as he lost the Euro 2016 final with France and the Champions League final with Atletico. But this season fortune has smiled on Griezmann, who starred in France's triumphant World Cup winning campaign in Russia after an impressive year at Atletico, who won the Europa League and UEFA Super Cup. "Comparing 2016 and this year, for me I have to be in the top three," the 27-year-old told French sports daily L'Equipe. "In 2016, I lost two finals and was in the top three. This time I have won three finals." Asked if not winning it would be unfair, Griezmann replied: "Not unfair, but I would wonder what more I could do. I have won three trophies, stood out at decisive moments, but it is not me who votes." 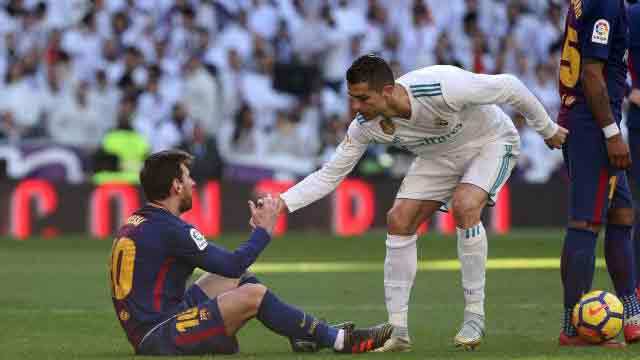 Ronaldo and Messi have dominated the Ballon d'Or over the last decade and the Portuguese superstar will be a contender again this year after winning the Champions League with Real Madrid. But Griezmann, who rejected a move to join Messi at Barcelona in the close season, admits ending their stranglehold over the award would be special. "I think about it, especially the closer I get to it. The Ballon d'Or is a prestigious award, and it is the highest you can go as a player. There are trophies in your league, in the World Cup, the Euro, but it's not the same," he said. However, there are signs that Griezmann's glorious 2018 on the field might not be enough. UEFA gave their award for the best player of last season to Luka Modric, skipper of the Croatia side that reached the World Cup final and a Champions League winner with Real. And Griezmann was omitted, along with the rest of his France team-mates, from the final three nominees for FIFA's player of the year award. The finalists for that prize are Modric, Ronaldo and Mohamed Salah, the same three who made up the podium for UEFA's award. Asked about the FIFA snub, Griezmann replied that "it's bizarre, and a shame. It is a trophy given out by FIFA, isn't it? "And the World Cup is organised by FIFA, right? We win the World Cup, and there is no French player there. That is their choice but it is surprising that there is no world champion." The Ballon d'Or award was run jointly by FIFA and magazine France Football until the end of 2016, since when world football's governing body have reverted to giving out their own prize. While a panel of supporters, national team captains, coaches and journalists vote for the FIFA award, only journalists vote for the Ballon d'Or.